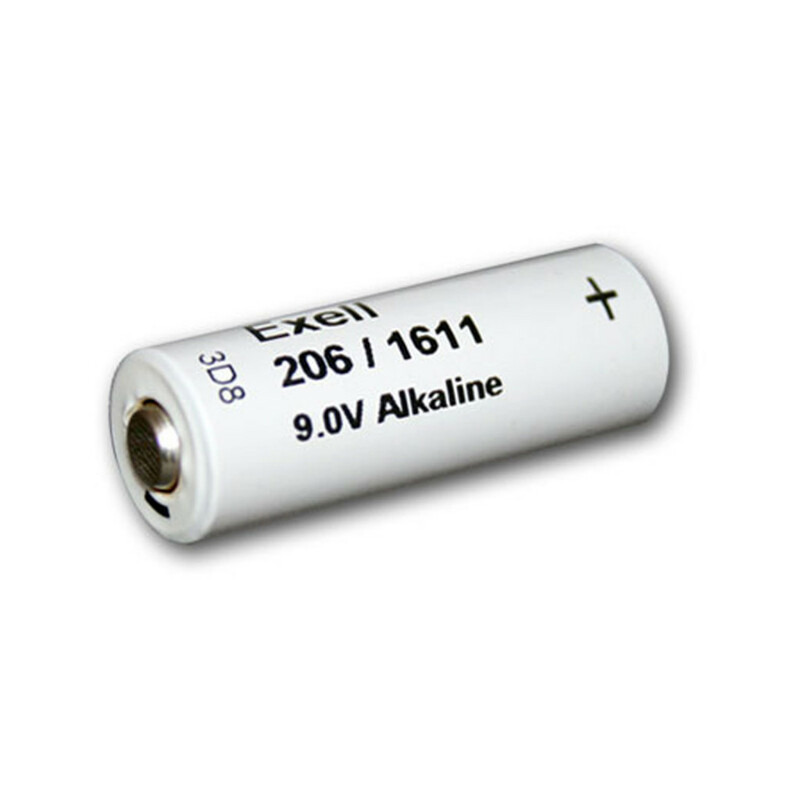 The Exell Battery 206A, or A1611, battery is Alkaline and cylindrical. It is more or less the same length as a standard AA battery, but fatter. It produces 9 volts and is the perfect replacement for the hard-to-find Eveready 206.